Free Admission! Free to Race! Join us for a great summer evening on the lawn and in the shade at the Festival Gardens across from the Abilene Zoo. Pre-register or register on race day! Pre-Register or Register on race day at the event! 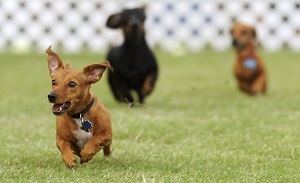 All dogs must be current on shots and be on a leash at all times except when racing. Each dog needs two humans! One person will be at the start line and one at the finish line. Since this is a free event, our only income is from our sponsors. If you prefer to purchase a sponsorship via check or by mailing your payment, please print and fill out this Sponsorship form. 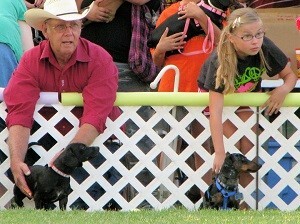 This is the dog “Show” for every dog, not just the ones with papers! 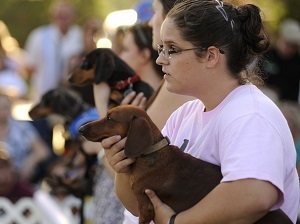 Come show off your rescued dog in the show ring before the Dachshund Races. 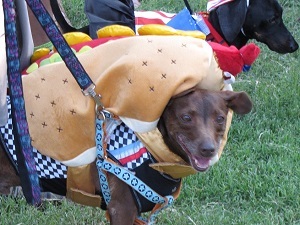 Dress up and dress up your dog for our Costume Contest. Just show up and enjoy the Reunion. No registration needed. Your dog can win a trophy! 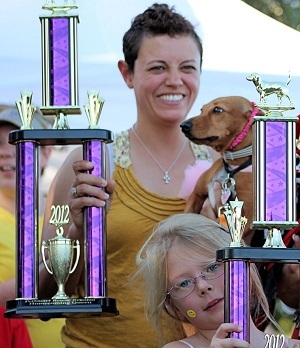 We’ll have lots of trophies, and we want your dog to take one home. We’re sure your dog will be the winner in at least one of our categories. We will also pick a Homecoming King and Queen! If your dog doesn't actually take off racing, but smells the roses along the way, it has a chance to be entered into our Goof Off. 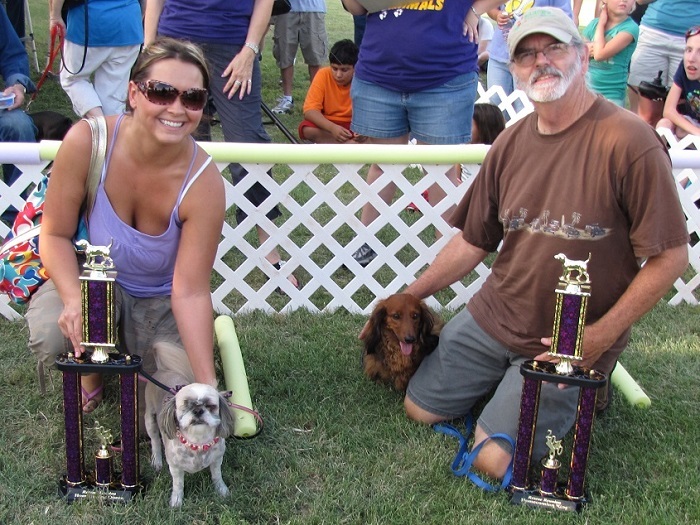 Our judges will choose a dog after each race heat to compete in the Goofy Face Off at the end. 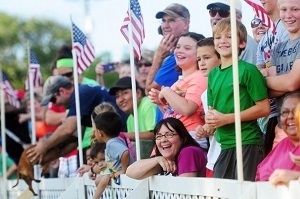 Let's admit, these are our favorite racers, as they bring us lots of smiles and laughs! Enter your dog today, even if you think "my dog won't run."